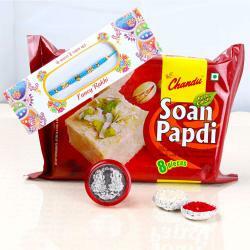 Product Consists: Exclusive 5 Rakhis Threads, Besan Ladoo (Weight: 200 Gms) Laxmi Ganesh Silver Plated Coin (Weight: 10 Gms) along with Packet of Roli Chawal. 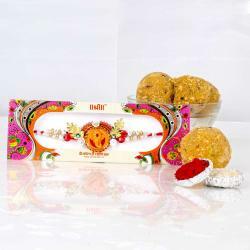 Near to Rakhis, the soul of the festival of Raksha Bandhan, there are significant combos with their equal contribution to the happiness shared. 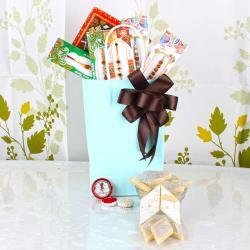 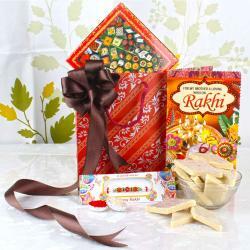 Get such uneven flavors of combos packed beautifully with Rakhis to celebrate this festival in a wholly different way. 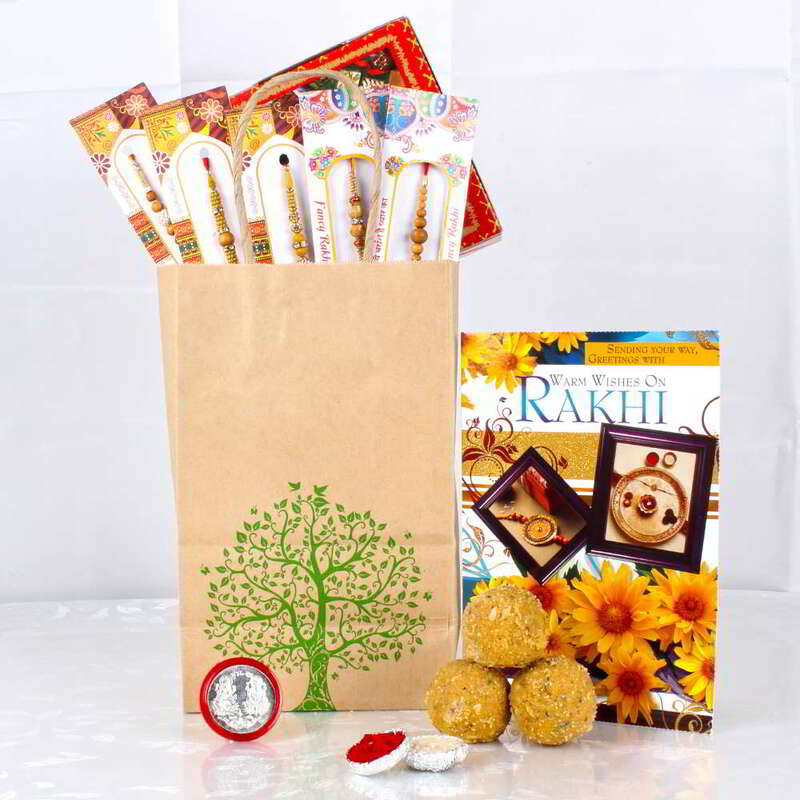 This Exclusive Rakhi Goodies Bag Includes : Exclusive 5 Rakhis Threads and Besan Ladoo (Weight: 200 Gms) with Laxmi Ganesh Silver Plated Coin (Weight: 10 Gms) along with Packet of Roli Chawal.